There are few things as frustrating as being stuck all day at a garage getting your car repaired. What makes it even worse is a huge bill that takes you by surprise at the end of the whole ordeal. However, the entire expensive and time-consuming hassle can be made a little easier, by knowing the tricks that can help get you considerable reductions on repair costs. We have listed down some tips which would help you save money on car repairs. Once you’ve found a garage, you should stick with them whenever some repair work has to be done. 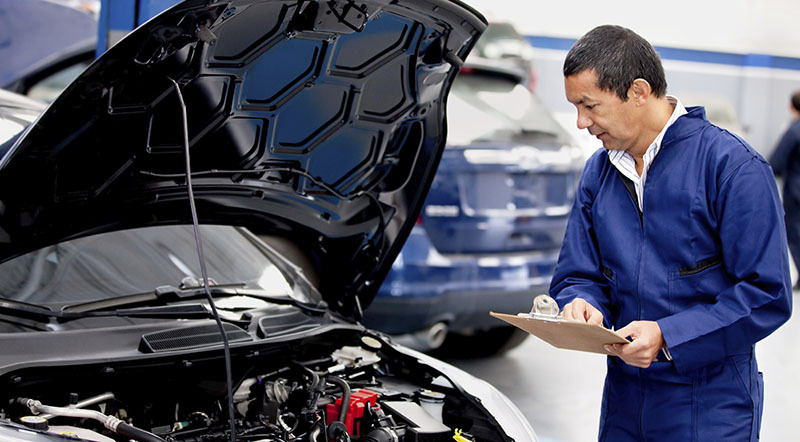 As trust develops between you and your mechanic, he will routinely charge you a reasonable amount for your car’s repair; as opposed to the mechanics who rip off new customers. Be sure to be as loyal to your garage as possible. Even though being loyal to your garage is the key, it is wise to get multiple quotes for the desired maintenance. Garages rarely overcharge regular customers; this simple precaution ensures you get the best price. Once you have different quotes, compare them with your garage’s repair cost. Garages tend to make the most money out of purchasing spare parts for your vehicle on your behalf. Always buy parts yourself. If you do it on your own, you may get bargain price by shopping around a bit for them. Mechanics have their go-to dealers for parts, and they tend to overcharge customers. Surf the internet before you drive your car to the garage for repairs. All the desired information is now just a few clicks away. Equip yourself with the knowledge of what’s wrong with your car, by initiating threads on forums dedicated to automobile discussions. Possibility is high that you’ll not only get tips on the repair cost, but also recommendations for the best mechanics. Once you’re at the garage, keep a close eye on the mechanic, and ask to see the old parts to know about the fault. Some people have the tendency to lay off repair and maintenance work till they have no choice. Don’t wait till the last moment; the fault may worsen if it isn’t attended immediately, and repair cost will go higher the longer you delay getting the work done. Always keep your car in good shape, by taking it to the garage for regular checkups. If your car is scrutinized every month for potential issues, they can be sorted out before they get out of hand. This is perhaps the most difficult tip to follow. Reading user manuals requires a lot of patience and will power in the modern day, where almost everyone keeps them in a safe place without even opening them. The documentation of your car mentions the exact maintenance schedule which, if followed, can help you save a lot of money on car repairs.